Business owners told us they wanted a better way to purchase and replace their vehicles. A simpler way to shop for trucks and to get the most current rebates and incentives. With over 450 commercial, work and fleet vehicles to choose from, you won't find a more extensive selection of Silverado, 2500HD, 3500HD, Cargo Vans, Service/ Dump Bodies and Knapheide Service Body Upfits. 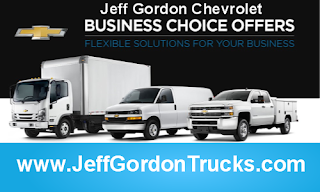 Jeff Gordon is Wilmington's Exclusive Chevrolet Business Elite Dealership. GM Dealer Of The Year and GM Certified Used Sales Leader for 10 consecutive years, you can rest assured we'll be there for you long after the sale.